Design, well-being, health, agility, flexibility, creativity, modularity, noise hunt, collaborative working methods, user-friendly furniture. 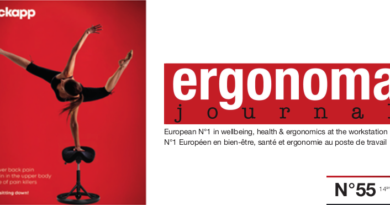 In Orgatec 2018: Design is a key player in the promotion of health and well-being, the ess ence of the Ergonoma Journal philosophy. This is what we have seen through the halls of Orgatec 2018. The new buzzword for spatial change in traditional work methods is New Work. Instead of rigid and hierarchical office structures, today’s environments must respond flexibly to different activities and work methods. In order to keep pace with dynamic development, furniture is becoming more adaptable. The new products are geared towards a modern work culture that emphasizes mobility, creativity and flexibility. Manufacturers offer models as comfortable, inspiring and often as fun as possible. 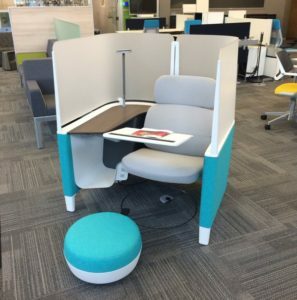 “Form follows emotion” is the new credo of office furniture. Soft surfaces, organic shapes and pleasant colors bring both relaxation and functionality. Forward-looking offices are places of exchange and communication. This gives the interior design a bigger challenge. Coworking spaces or other open office structures require a good balance between excessive acoustics and insufficient acoustics. 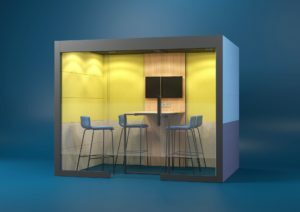 Acoustic solutions have become indispensable in open offices so that they can allow informal conversations as well as concentrated work. At ORGATEC 2018, many exhibitors showed that good acoustics and a good visual appearance are not incompatible. The awareness of a healthy lifestyle has reached the world of work. Health is no longer associated only with disease. With regard to demographic change and the aging of the workforce, factors such as physical and mental fitness are becoming increasingly important in office equipment. ORGATEC 2018 shows the importance and impact of this “megatrend” on modern work environments. co mfortable in their work environment. A pleasant environment ensures greater productivity, promotes creativity and increases the attractiveness of the company. Open spaces, quiet areas and other workspaces focused on well-being are therefore becoming increasingly important. New in this 2018 edition of Orgatec: many product solutions to encourage physical activity promote a healthy work environment. The innovations presented at ORGATEC 2018 illustrate not only the rapid changes in the world of work, but also the continued development of an intelligently organized office and a knowledge-based work. In addition to the innovative solutions and products for this change, the international show also placed special emphasis on cultural conditions such as an agile organization of the work environment, digital networks and collaborative forms of work. Independants but also large companies have long recognized the potential of collaborative working methods. Coworking and other forms of spatial collaboration require flexible workplaces. 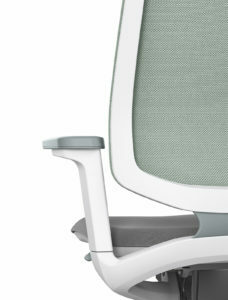 For example, the current need for adapted office concepts is creating a new generation of office chairs. Pictures: Wilkhahn, Koleksiyon, Narbutas, Sedus, Steelcase. 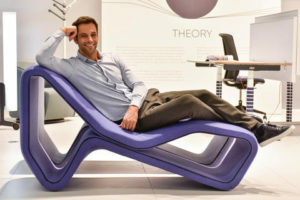 ← Ergonoma Live diary of ORGATEC, 2nd day.